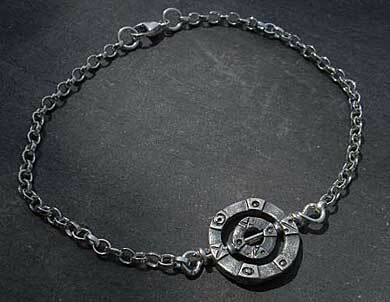 Unisex Silver Viking Necklace : LOVE2HAVE in the UK! 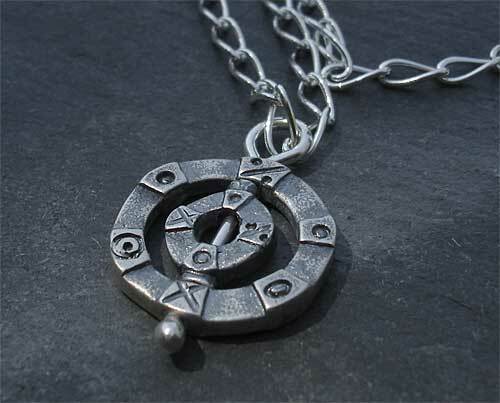 This silver Viking necklace is the matching necklace for the Viking bracelet and earrings, comprising of two silver discs, as do the other pieces. 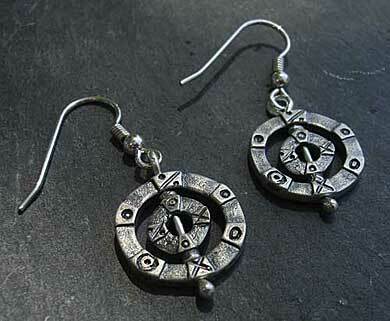 It features rustic-style silver with an oxidised finish. The detailing has an almost hand-carved to look, as though made from stone, with raised stepped sections and engraved markings. 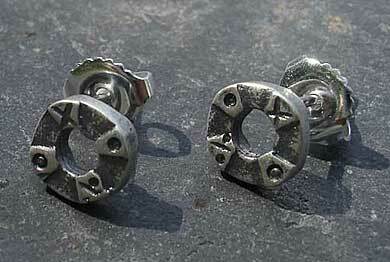 The central disc spins freely on its vertical axis, something we have never seen before, which is unique for any Celtic jewellery piece. 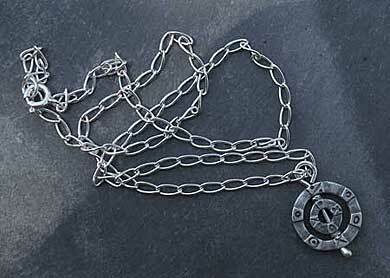 The design, inspired by the jewellery worn by our Viking ancestors, measures approximately 1.5cm wide and comes supplied with a 17-inch matching chain, but other lengths are available on request. Other jewellery inspired by our Viking ancestors also pictured: - Viking pendant, Viking stud earrings, Viking drop earrings and Viking chain bracelet. Size(s) Available: 17 inches as standard.